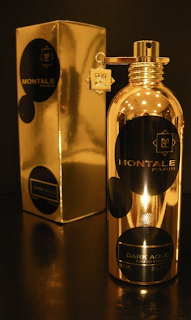 nero profumo: Montale's Aouds: A Bunch Of Winners! Montale's Aouds: A Bunch Of Winners! This is possibly the most popular creation in the Montale's range and, honestly, it deserves its status. One of the best masculine rose/oud combos around. Black Aoud is basically all about rose and oud but it's far from being simplicistic or even bone-dry. Two of the most luxurious elements orchestrated to create an incredibly rich, complex, dark and compelling composition that while resulting extremely elegant, it's everything but mannered or affected. Wild, incisive and assertive just like a Lucio Fontana's painting: several cuts on canvas. On skin, Black Aoud opens with a "scratchy" mix of extremely medicinal oud and a luxurious rose note that is one of the most interesting thing happened in contemporary perfumery and stays linear for almost 10 hrs (yes). It then starts to evolve introducing patchouli and hints of animalic leather while a resinous / musky base remarks its presence. With its incredible power, it projects for yards and lasts more than 24 hours. One spray on your neck and, believe me, you're done for the whole day. In this context Black Aoud it's not simply a purchase, it's more like an investment as a 100ml bottle is gonna last for your whole life. A head turner...Go ahead. This is breathtaking! Two of the strongest and potentially most challenging ingredients around mixed together with an awesome result. If you like oud and leather this is possibly one of the best takes around but be careful because this is not a fragrance for everybody. Oud Cuir D'Arabie is quite challenging and incredibly intense. The opening is almost arresting with a blast of animalic notes and oud (a-là Montale). In this phase the fragrance is skanky, unpretty and raunchy but it quickly evolves into a more conventional yet nonetheless fascinating blend of luxurious rose and leathery-tobacco laying on a resinous oud base. Brutal, intense and absolutely unpolite! You've to be in the right mood to wear Oud Cuir D'Arabie and make sure to be in the same mood for the whole day as it lasts over 12 hours. A must-try for anyone into Oud 27 or Dior's Leather Oud. Ok, this is a very loud fragrance but I love it. The opening is quite typical if you're already familiar with Montale's ouds. A strong medicinal/synthetic vibe and botloads of saffron joined by the distinctive Montale's hallmark: a prominent and harsh oud note! It gets even darker and warmer in the drydown with the addition of dark woods, vetiver and some musky-amber. Bold but never claustrophobic, tremendously woody and intense, it always claims your attention and everybody else's by surrounding everything with its dark warmness. Someone says it's similar to Nasomatto Duro, and for a few aspects I agree, but Aoud Musk results much more balanced and definitely not vulgar! Outstanding sillage and extraordinary lasting power. One spray on the neck and you're set for the whole day, night, late night and early moring after: be aware! Surely not for laidback type of guys! A stark, severe, bone dry and indeed dark fragrance that to the usual medicinal oud a-là Montale introduces some spices and sandalwood. From the beginning I realized that Dark Aoud was not supposed to really evolve but while it can be considered a quite linear composition it still has an outstanding personality and some depth. One of the most minimal releases by the french house whose reachness is achived by a single accord made out of a double dose of smoky agarwood and sandalwood. Insanely intense, nutty, dry, assertive. Monster projection, monster sillage and monster lasting power. 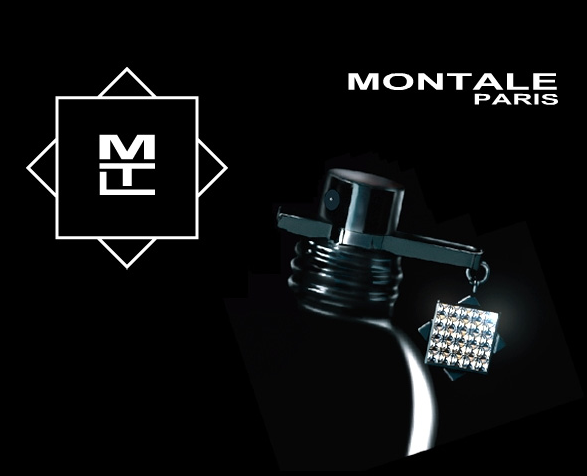 One of the best fragrances in the Montale's range. Highly Recommended. 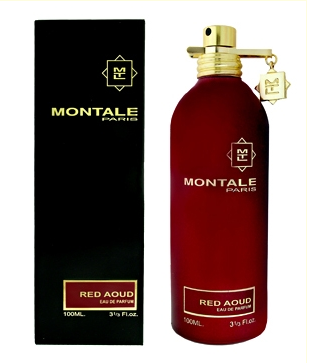 I'd split Montale's ouds in two different categories. On one side we have Oud Cuir D'Arabie and Black Aoud that stand out for their uniqueness and their challenging power. On the other side I'd put all the other compositions form the same line as they basically consist in micro-variations on the main theme. Now, beside what you may personally like or not almost any of the "Aouds" by this house stand somehow on the same level (a good level with the exception of a few really unsuccessful releases such as Aoud Forest and Sliver Aoud). A more or less strong / medicinal oud note joined by a complementary bunch of other aromas to match different tastes. My suggestion to anyone who like oud is to pick up a bunch of samples from the Montale's range and see which one fits your bill better. Once you've made your choice stick with one, or maximum two of them, as I can assure you that by that point you covered a lot of ground already. That being Red Aoud is a micro-variation on the main theme taking a spicy (red-chili) direction. The oud note here is not as strong and powerful as in other perfumes from the same line, but still remarkably present. Hidden cacao hints provide some refinement and a sort of gourmandic quality. Nice and pleasant but I stick with Aoud Musk. For anyone (including myself) who find Black Aoud to be amazing but can't stand its huge rose note on the skin, Aoud Lime could be a valid alternative. 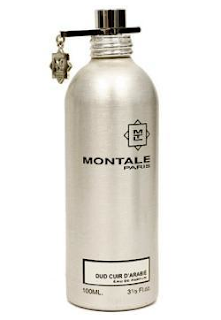 To the typical Montale's opening has been added strident lime note that while lurking in the back it remarkably declares its presence working as an ultrasonic whisper. The strong medicinal aroma juxtaposed to the lime's acidic freshness is pretty weird indeed but absolutely compelling to my nose. After an hour or so, the rose note makes its appearance but it's not overwhelming or as prominent as it is in Black Aoud. It's instead well blended with patchouli and oud to create an amazing accord that is going to last for quite a while. In the meantime, in the very background, I still get the fascinating juxtaposition of lime but in this phase it sounds more like someone who's playing a thirteenth on the main accord in another room. Amazing. Surely not an easy wear for its intensity and weirdness, but still a great composition. Well Done.